It’s no secret that Google has been constantly updating to adhere to mobile convenience as well as prioritizing mobile-friendly websites in search queries. Google is all about user convenience. 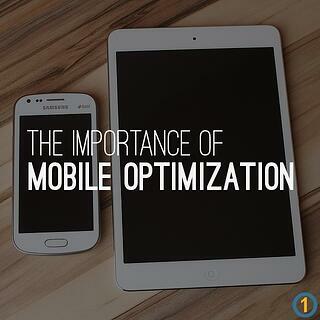 With mobile usage becoming more and more prevalent in everyday life and on the go, the need for mobile optimization is on the rise. One way to ensure the best mobile SEO score for your page is to develop content and images that adhere to desktop and mobile friendly guidelines. Using CSS Sprites, which combine multiple images into a single image file will help optimize sizing for whichever vehicle your viewer may be using. In terms of PPC, banner ads are the most popular used format for mobile advertisement. Making sure that one of the images in any Display Network campaign has a mobile box checked will help optimize your campaign to be desktop and mobile friendly. Overall, integrating and maintaining mobile optimization to your webpage will ensure that your viewer has the best experience possible, from site structure and design all the way to page speed. To learn more about mobile optimization, submit a comment below or call Page One Web Solutions directly at 1-888-274-0483.